On March 14, I am going to be a part of the NWA Fashionweek Art Amiss Designer Showcase. 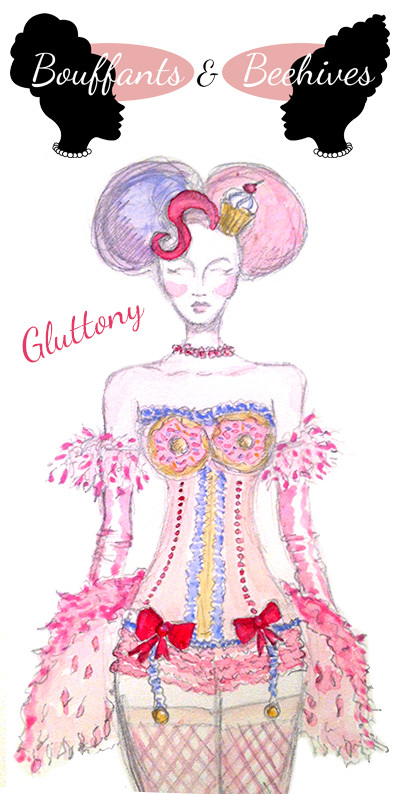 My particular segment will be a burlesque theme of the seven deadly sins. I'm working very hard right now to create the clothes, hair and makeup. Here is a sneak peek. It's a sketch I drew for Gluttony.